Eutelsat LEO for Objects, or ELO, will test Internet of Things connectivity with Sigfox. Images shows a Tyvak depiction of a generic cubesat. Credit: Tyvak. 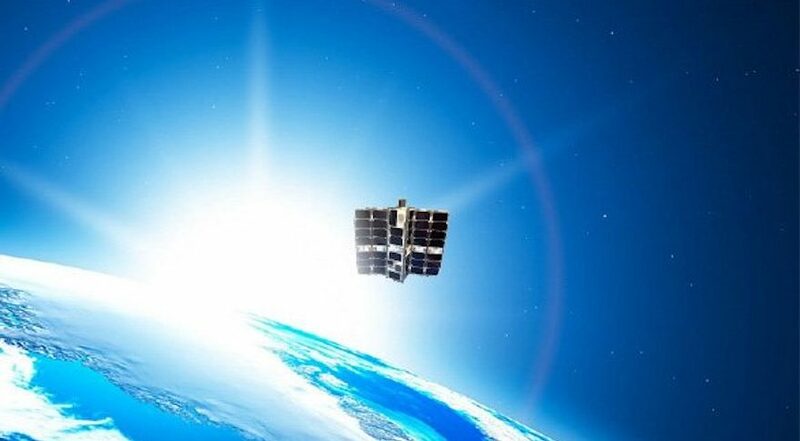 WASHINGTON — Global satellite operator Eutelsat of Paris is buying additional small satellites for a planned Internet of Things network, having decided to expand the envisioned low Earth orbit system before it has launched the first demonstration satellite. Eutelsat ordered a cubesat called ELO, or Eutelsat LEO for Objects, from Tyvak International in March 2018. Eutelsat spokeswoman Marie-Sophie Ecuer said ELO is scheduled to launch in the coming months, but that more satellites are planned. Ecuer declined to provide additional details on the satellite system. Leroy expressed skepticism toward constellations designed for residential broadband internet connections like those of SpaceX and OneWeb, citing higher costs for broadband systems, and antennas as roadblocks. Eutelsat operates 37 satellites in geostationary orbit 36,000 kilometers above the Earth. Leroy said having satellites in a much closer low Earth orbit means the signal power needed to connect devices is significantly lower, because the signal doesn’t have to travel as far. Other established satellite operators have partnered with startups to join the smallsat IoT wave. Iridium partnered with Dutch startup Hiber in September 2017 to work together on IoT services. Hiber launched its first two of a planned 64 satellites last year, one on an Indian PSLV rocket, and another on a SpaceX Falcon 9. Thuraya, now part of Yahsat, partnered with Swiss startup Astrocast on IoT connectivity. Astrocast also has two of 64 satellites in orbit, one that launched on the same December Falcon 9 mission as Hiber, and another that launched March 31 on a PSLV rocket. Leroy said Eutelsat was working with French IoT company Sigfox on integrating its ELO satellite service with Sigfox’s terrestrial network. Sigfox will also help test waveforms and frequencies on the ELO satellite, he said. Ecuer declined to say if Sigfox will be a partner on Eutelsat’s additional LEO satellites.